An ad even more tasteless than that tie. Photo: Bill Clark/CQ-Roll Call,Inc. An Alabama representative, who was at the congressional baseball game where Congressman Steve Scalise was shot, has used audio of the shooting in a recent campaign ad. 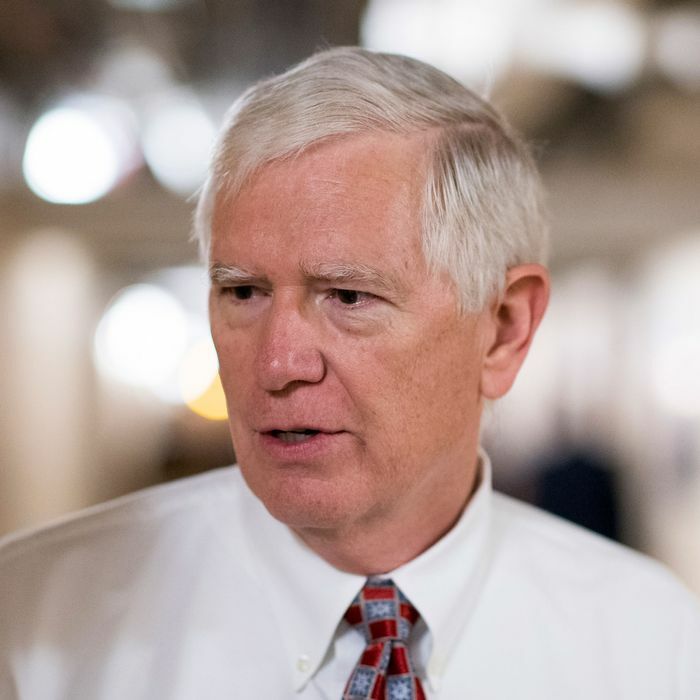 Mo Brooks, a hard-core conservative who is running in the freewheeling, who-loves-Trump-the most Senate primary to replace Attorney General Jeff Sessions, released the 30-second commercial on Monday. Brooks was at baseball practice with Scalise and other GOP lawmakers on the morning of June 14 when James Hodgkinson, who had compiled a “hit list” of Republicans including Brooks, went on a rampage, shooting Scalise and four others: two Capitol police officers, a congressional aide, and a lobbyist. Brooks applied a tourniquet to Scalise after the shooting, an act he highlights in the ad. Scalise was left in critical condition and later suffered major complications after his initial recovery. On Monday, in a hopeful sign for his recovery, he videoconferenced with representatives for the first time. Brooks told the Associated Press that he made the ad because Luther Strange, who was installed to replace Sessions in February and is the Establishment favorite in August’s primary, had made gun rights an issue in the campaign.